New arrival routes for Bristol Airport that use the latest satellite technology to cut airline fuel costs, enhance safety and bring quieter approaches to communities under the flight path have been introduced. 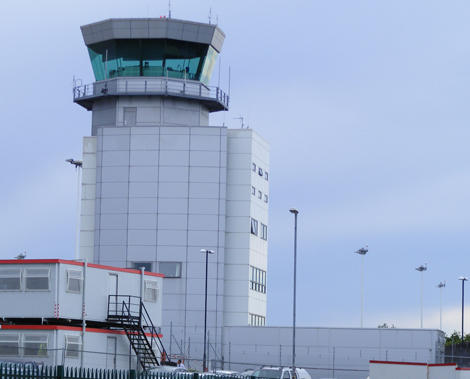 Bristol is the first major UK airport to introduce the new Performance Based Navigation Standard Terminal Arrival Route (STAR) which uses satellite navigation, coupled with the latest technology fitted to aircraft, to replace traditional ground beacons and landing systems. The new routes apply to aircraft approaching from the south and have been designed to closely replicate existing tracks but with greater precision than was previously possible. Approaches from the west have also been designed to take aircraft over the Severn Estuary, reducing noise disturbance to communities along the coastline. Developed by air traffic management specialists NATS, working alongside Bristol Airport and easyJet, the new STAR allow aircraft to follow optimum flight paths with greater accuracy and to stay higher for longer making them quieter and more fuel efficient. The new STAR is part of a project to update the UK’s airspace system, much of which was designed over 40 years ago. Since then there has been a huge growth in demand for flying, changes in technology and greater environmental concerns. The Civil Aviation Authority’s Future Airspace Strategy sets out a vision for UK airspace through new technology, airspace changes and better coordination that aims to reduce aircraft fuel burn by 160,000 tonnes a year, CO2 emissions by 500,000 tonnes a year and passenger delays by 1.1 million minutes a year. NATS is currently trialling further precision navigation procedures at a number of other UK airports.